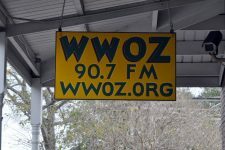 WWOZ 90.7 FM is the New Orleans Jazz and Heritage Station, a community radio station broadcasting the music of the Crescent City to the world. 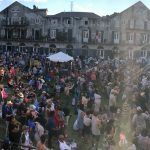 In December 2005, four months after Hurricane Katrina and the ensuing devastation rendered WWOZ’s Armstrong Park studio unusable, the radio station relocated here to the French Market. 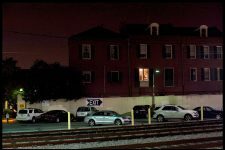 As the station expanded its programming during the recovery, the studio grew from just a few rooms to the whole second floor of this building, which has overlooked the crescent bend of the Mississippi River here since the 1830s. 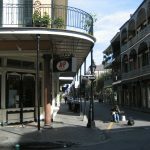 Today, ‘OZ beams out the sounds of the city online and over the airwaves. WWOZ’s on-air and performance studios have become an integral part of the New Orleans music community, and are host to hundreds of live performances every year, ranging from R&B legends like Irma Thomas and Bobby Rush, to jazz musicians both traditional and contemporary, to Cajun and folk music. The studios are familiar to even teenage future stars of New Orleans music, who perform live on the Cuttin’ Class program. Many of these performances are now shot on video, and can be watched online. 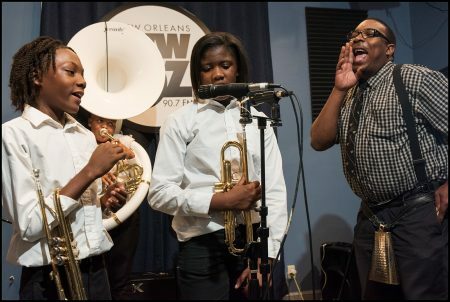 Cuttin' Class: KIPP Central City Academy performance and interviews in WWOZ French Market studio. Doreen Ketchens, Three Songs at WWOZ from 2014. Stanton Moore Trio live at WWOZ's French Market studio in 2015. 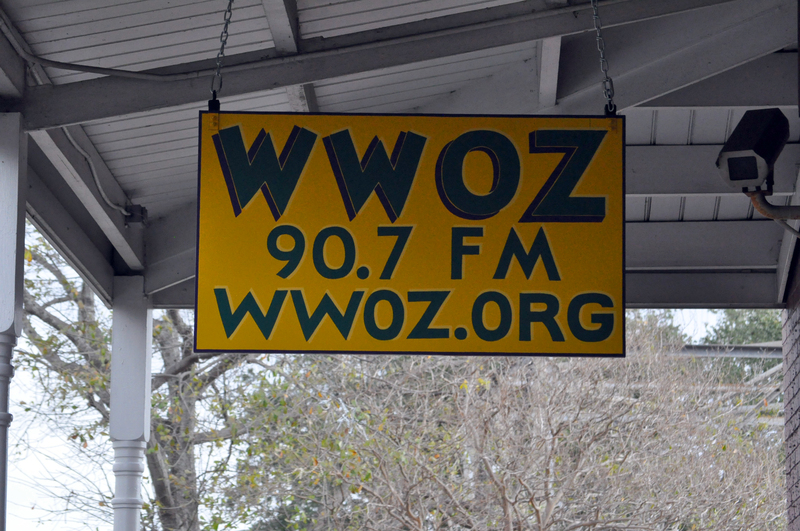 WWOZ French Market studio sign. 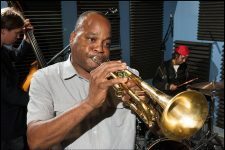 James Andrews performs in WWOZ's French Market studio in 2016. WWOZ Cuttin' Class series with Dolores T. Aaron Academy, led by Andy Bower in studio on April 18, 2017. 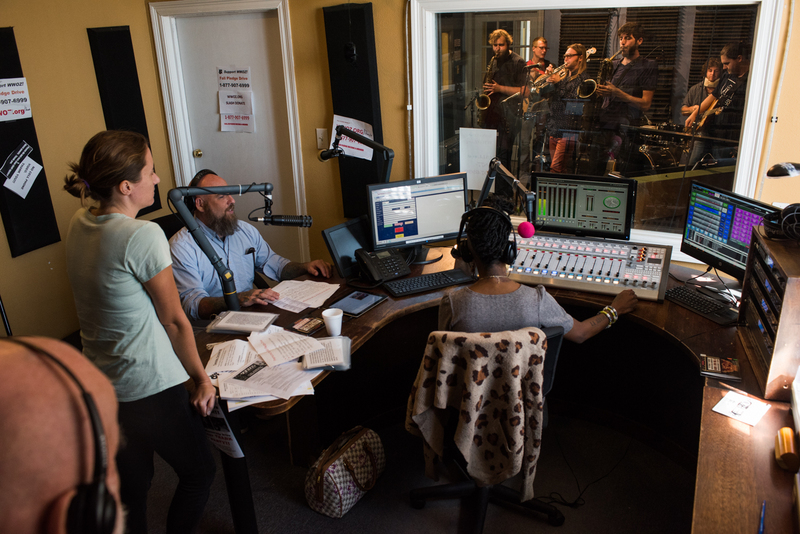 Watching Naughty Professor play at WWOZ's 2016 Fall Pledge Drive. WWOZ French Market studio burning the midnight oil.